Spectators are welcome and may take photographs. Approx 9 mins flight. 30 minutes, with 9 minutes in the air. 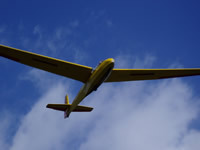 Your flying experience will be in one of the club's two-seater gliders with a British Gliding Association qualified instructor, who will give you a full briefing before take off.Includes 8-10 minute flight. 1 hour, with 8 minutes in the air. 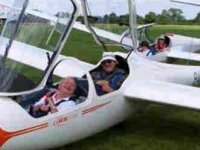 On arrival at the Airfield you will be given a short briefing and introduced to your Pilot, then you will take to the skies in a Glider. 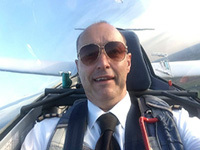 Our trial flying lesson is a brilliant introduction and is ideal for almost anyone. Age is no barrier, we have flown visitors from early teens to their 90s. It also makes a great gift - something a little out of the ordinary. Spectators are welcome and may take photographs. Approx 16 mins flight. 1 hour, with 16 minutes in the air. After a full safety brefing and explanation of how a glider flies and how the dual controls work you will be strapped in ready for the tug to tow you to 2,000ft. Once airborne you will have chance to take the controls. Glide as smoothly and as freely as any bird using the natural energy of the sun and air. Experience includes includes a winch tow to 900-1500 feet. 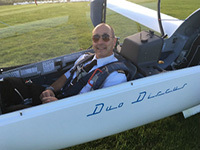 Once 'free' you can take the controls under supervision and start to fly. 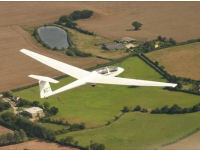 This voucher entitles you to a single Aerotow launch (flight duration 15 -30mins). An exhilerating experience of silent flight. See Belvoir castle from the air. Chance to take controls. Don't forget your camera. friends/family welcome. 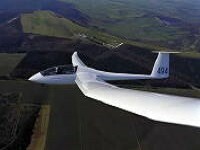 Your flying tuition will be in one of the club's two-seater gliders with a British Gliding Association qualified instructor, who will give you a full briefing before take off.Includes 15-20 minutes soaring or 2 non soaring flights. 1 hour, with 15 minutes in the air. 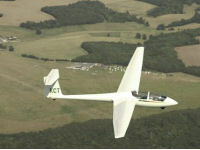 After a short briefing the glider will be towed to approx 2000 feet with spectacular views of North Devon. Once flying free you will have the opportunity to take the controls for the remainder of the flight including touch down if you wish. 2 hours, with 15 minutes in the air. 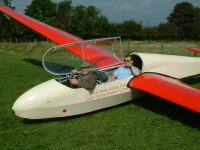 This voucher entitles you to a 30 minute flight in a Motorglider. See Belvoir castle and other sights from the air. Chance to take controls. Don't forget your camera. friends/family welcome. 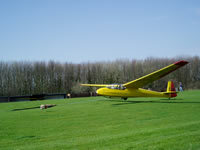 On arrival at the Airfield you will be given a short briefing and introduced to your Pilot, then you will take to the skies in a Glider for the first of two winch launches (each approx. 7 -15 mins. depending on conditions). 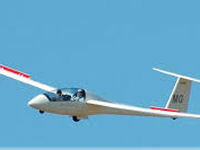 A single aerotow to at least 2,000 feet, with approximately 15-20 minutes flying time depending on the weather conditions. 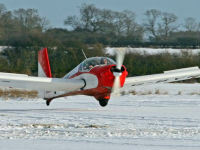 It includes pre-flight briefing, instruction and also 2 months membership of the Club. 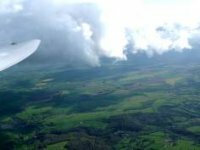 For a real adventure join our "Mile HIgh Club"- it takes you on an aerotow launch to 1 mile above sea level, sometimes above cloud. Signed colour certificate to commemorate your flight. This voucher entitles you to THREE winch launches - each flight duration 5-15 minutes(see notes).This is an exhilerating experience of silent flight. You will have chance to take controls. Don't forget your camera.Friends/family welcome. 75 minutes, with 75 minutes in the air. After full safety brefing and explanation of how a glider flies you will be strapped in ready for your aerotow to 2,000ft. Once airborne you will have chance to take the controls. Includes second flight on the same day. 2 hours, with 40 minutes in the air. 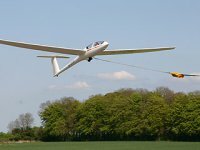 On arrival at the Airfield you will be given a short briefing and introduced to your Pilot, then you will have three Winch Launch flights in a glider with hands on tuition. 1 day, with 1 day in the air. 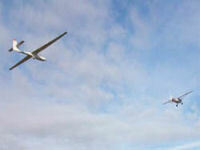 This voucher entitles you to TWO Aerotow launches (flight duration 15 -30mins). An exhilerating experience of silent flight. See Belvoir castle from the air. Chance to take controls. Don't forget your camera. friends/family welcome. 1 day, with 45 minutes in the air. 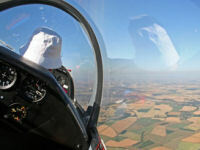 Find out what it's like to be aerotowed up to one mile high by a tug plane in a training glider and released over the fenland. 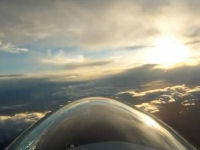 The views will be amazing as you slowly drift back down to the airfield. 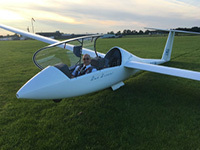 Your flying tuition will be in one of the club's two-seater gliders with a British Gliding Association qualified instructor, who will give you a full briefing before take off. Includes up to 6 launches. Fancy a more involved introduction? Then why not join us at our airfield for the day. 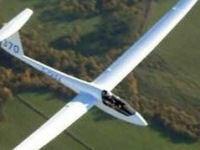 You will team up with an instructor and training glider and spend all day learning to fly. You can expect to fly up to six times during the day.